I will start this post with a confession that I've never been a fan of salt mines but whenever I get to visit one, they never stop amazing me. They just leave you speechless in less than a minute. Just like Turda Salt Mine did a while ago. But let's discover together the story of the Praid Salt Mine too. Located on just 10km away from Sovata Station, on the territory of Harghita County - Salina Praid (Praid Salt Mine) represents not just the biggest salt mine within Romania but also one of the biggest ones from Europe. 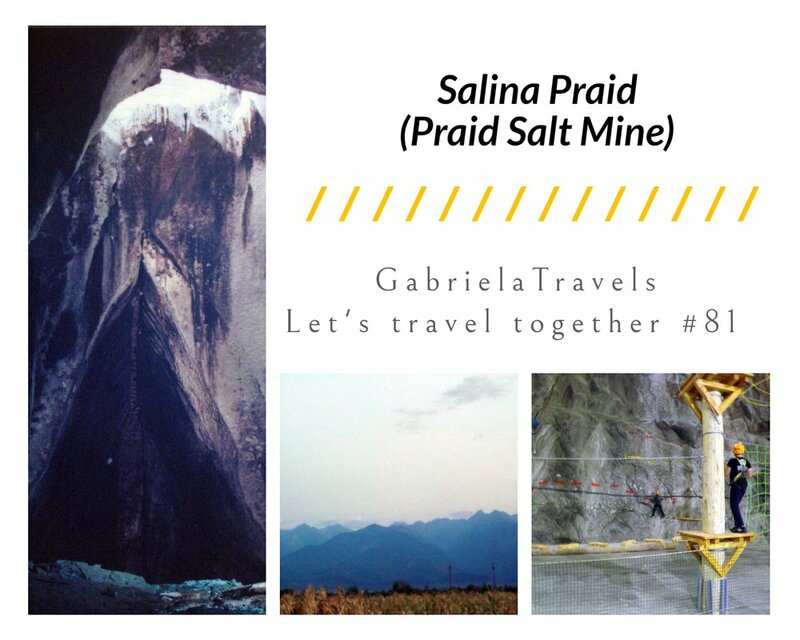 Salina Praid (Praid Salt Mine) is not just a touristic attraction for travellers but also a source of income for many locators, most of them working right in the salt mine nowadays. This process started thousands of years ago and it's still going, so whenever you visit this place keep in mind you are not only visiting a beautiful place but also helping the locators too. So you will go back to your homeplace with double satisfaction for visiting only one place - isn't it cool? The composition of the hidden cave is fully covered by rock salt which represents nothing else but the usual salt we are using when cooking, which first was discovered in Transylvania with over 20 million years ago. The shape of Salina Praid (Praid Salt Mine) is slightly elliptical, found on a depth of 2,6-2,8km with diameters of 1,2 and 1,4 km. The impressive sizes you've just read make the salt mine become the biggest diapyrogenic salt form from Romania but also one from Europe. Salina Praid (Praid Salt Mine) is home for reserves of nearly 500 years old which represents one of the real treasures for the Transylvanian economy, but also for the many curious visitors who will get to enjoy this place on a temperature of 15°C and 65% humidity. The whole adventure begins by taking the bus which will bring you to the salt mine in less than 10 mins. The bus makes two courses every hour and you can't access the salt mine without it because there is a distance of 1.500m. After you drop off the bus, you will also need to go down to 300 stairs that represents the proper entrance to Salina Praid (Praid Salt Mine). As soon as you make this step as well, you will be welcomed with a huge difference of air level which is strongly ionized and represents one of the most efficient remedies for treating different breathing issues. The best part is that you can actually follow one of those treatments which consist in following the instructions of a medical team who will take care of you on a period of 18 days when you must spend at least 4hours/day in the salt mine, breathing the specific air. The medical team also have a schedule for gymnastics. The number of people who treat themselves on here is crazy - 2500-3000 people every day, especially on summer days! So now I can finally say, welcome to the little underground world! coffee shop, library, billiards, many slides for kids, cinema, ping-pong, museum, pubs, Aventura park, special places for treatments, numerous places for rest but also tunnels which represent small mines with different names, stories and years of developing. Some examples are: Iosif Mine (1762), The Parallel Mine (1864), Gh. Doja Mine, Orizonturile Inferioare Mine. Let's not forget about the place dedicated to the prayers who can visit the Church if they feel like having a moment to talk with God. The Church was formed in 1993 and since then, every Wednesday, Thursday and Friday you get the chance to take part on the daily celebrations for Orthodox, Catholic and Reformed people. For the more adventurous people, you can give a chance to the Aventura park where you will enjoy activities like climbing, holding the hooks and the wires and of course the ropeway. And for the people who love history and visiting museums, there is also a place dedicated to this kind of activity where you will discover specific tools that were used in the past and their story. To reach Salina Praid (Praid Salt Mine), you must arrive in the center of the city from where you will first meet the place from where the bus starts, the ticket office from where you can buy your ticket but also the parking lot, and then on just 100m the way to the salt mine. If you are coming from Brașov: Rupea > Vânători > Corund > Praid.